I decided to stuff my pork burgers tonight with a bit of goat cheese. It was quite tasty; so much so that my mind was reeling with other ideas for stuffing; blue cheese, cheddar, bacon, jalapeno to name a few. Take about 1/8 pound of the pork and make a thin patty. Crumble about 1 o.z. of the goat cheese on top. Top with another 1/8 pound of pork. Cook as desired. I went with a skillet tonight as it was dark and cold out; it took about 12 – 15 minutes over medium heat. A grill would work nicely too. 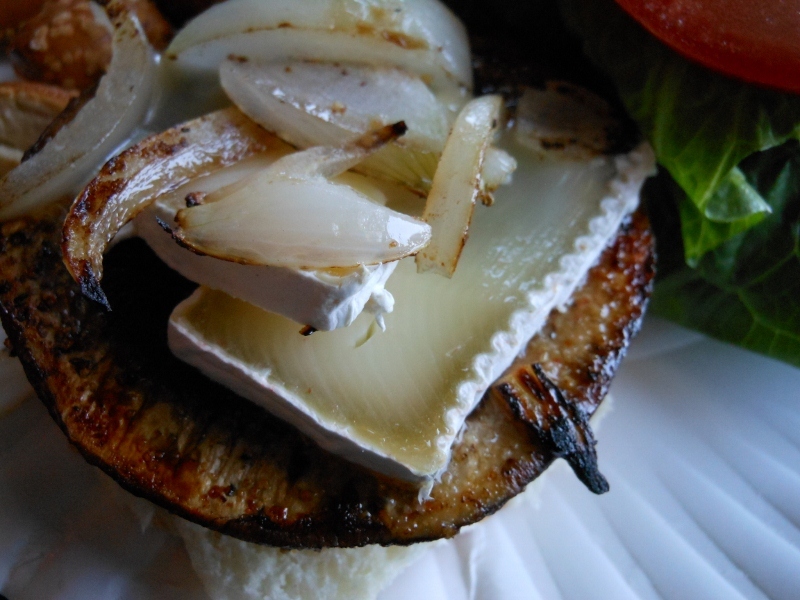 I decided to make a Portobello burger today; something I’d never tried but it just sounded delicious. My original intent was to grill them but I got busy and then had to hurry so this skillet version worked wonderfully. Just about 5 minutes cook time was all it took. Charles loved the Brie Cheese and its earthy flavor I liked it too, but I must confess I put cheddar on my second one. I used the little slider buns the local grocery sells and the size was perfect. In medium skillet melt butter. 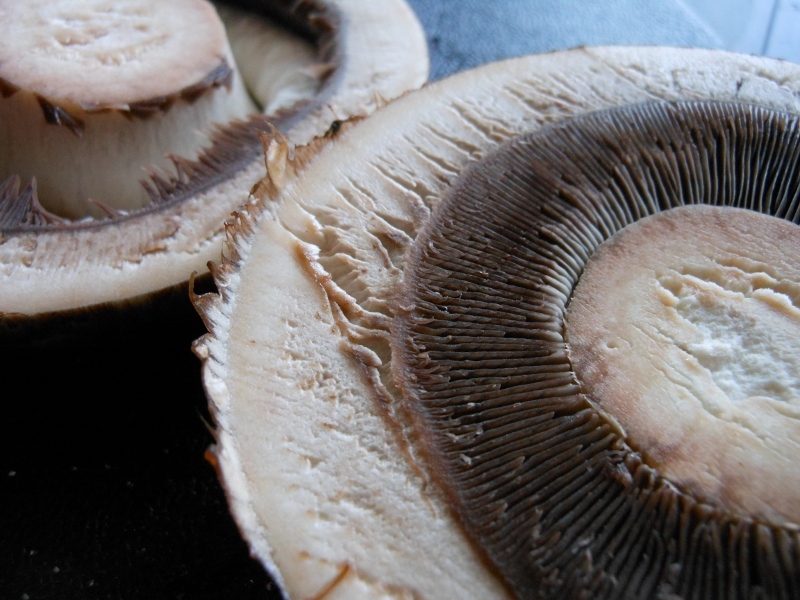 Slice mushrooms in half horizontally. Place each mushroom half in skillet. Season with salt, pepper, and garlic powder if desired. Cook 3 minutes; flip over add onion slices to skillet. Continue cooking about 2 more minutes or until mushroom is desired tenderness. 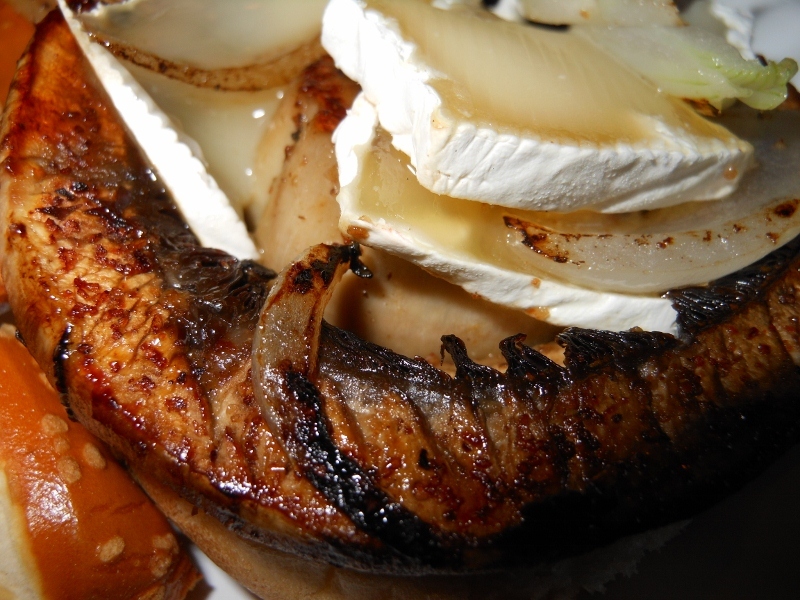 Flip mushrooms over and top with Brie slices. Serve on buns with lettuce and tomato or your favorite toppings.